When Jayton Ophus was four years old, he told his parents he wanted chickens. He got them all right – and much, much more. “We wanted to teach him responsibility,” says Jayton’s mother, Mary Ophus. She and her husband, Clete, set the boy up with some egg- laying hens and a savings account. Every time Jayton’s chickens produced enough eggs, his parents would help him sell them and the profits would go into Jayton’s college fund. At a young age, he learned the importance of being diligent. 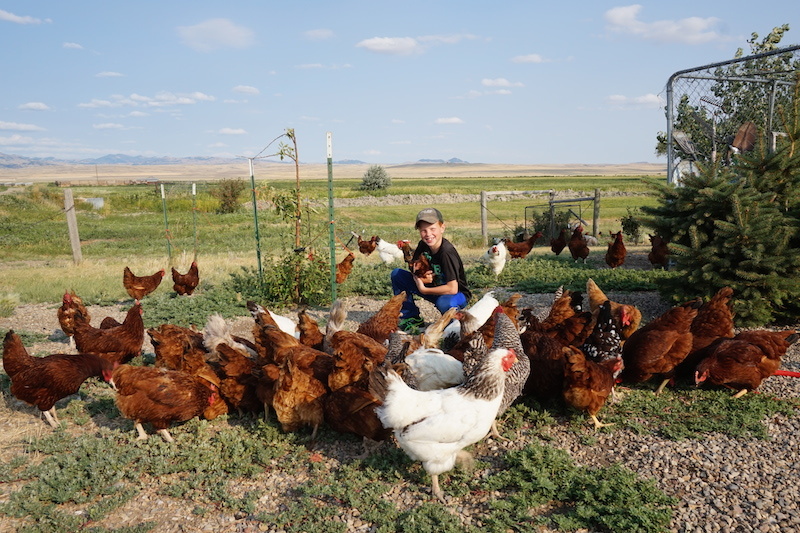 Today, Jayton is eight-years-old and has 200 chickens. They produce roughly 7-8 dozen eggs a day. Customers stop by the Ophus ranch to support the young entrepreneur, and some even get door-to-door service; Jayton can regularly be found on his route, delivering eggs with his John Deere wagon. “He’s a farm kid definitely,” laughs Mary. In addition to the chickens, Jayton also raises ten pigs a year and a couple of cows. “He says he’s saving chicken money to buy more cows to make more money in the long run,” says Mary. When asked about his entrepreneurship, Jayton says the key is to “start out little and get big”; don’t bite off more than you can chew, and do a good job with what you have. For Jayton, it helps that he likes animals. As a member of 4H, he enjoys showing animals, watching them grow, and telling people about how he raised them. Jayton has learned something most don’t realize until adulthood: it’s not work if you love what you do.